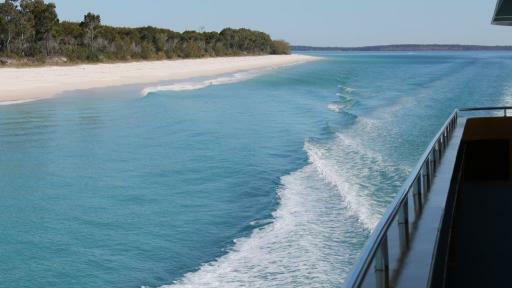 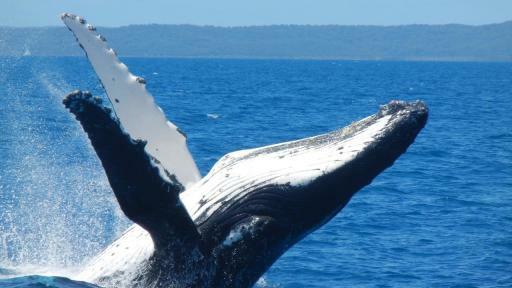 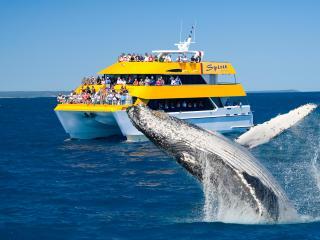 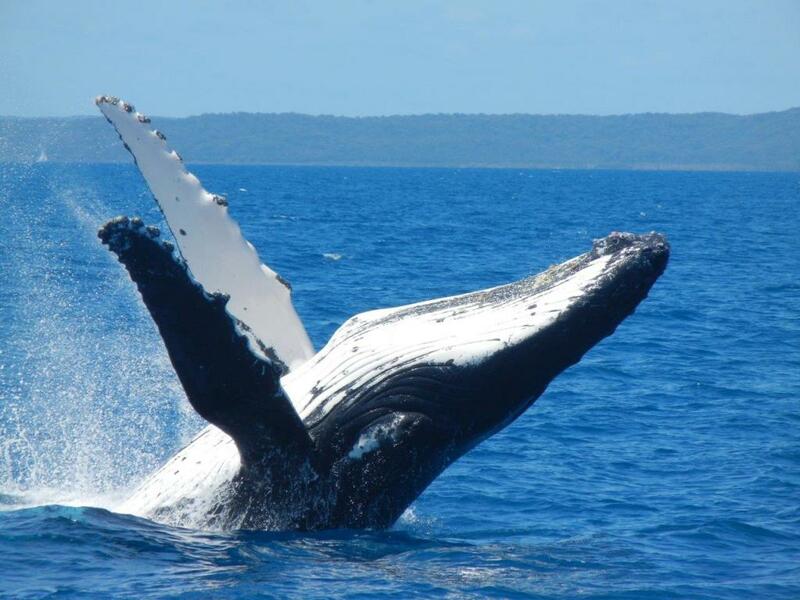 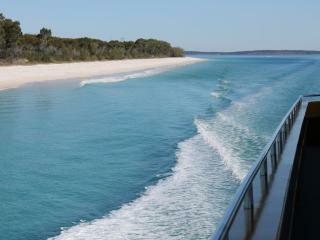 Spirit of Hervey Bay Whale Watching Cruises offers whale watching tours each year between late July to late October. 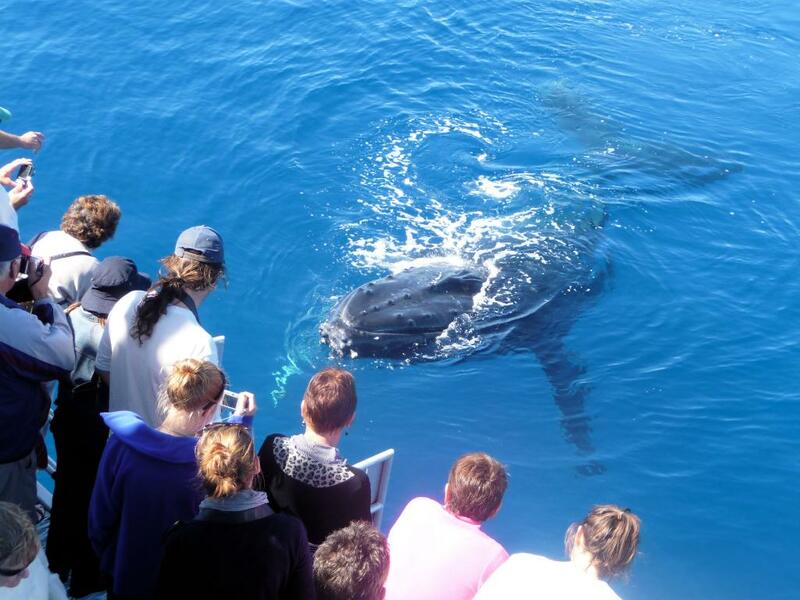 The humpback whale reaches the sanctuary of Hervey Bay for some well earned rest, relaxation and fun interaction with whale watchers. 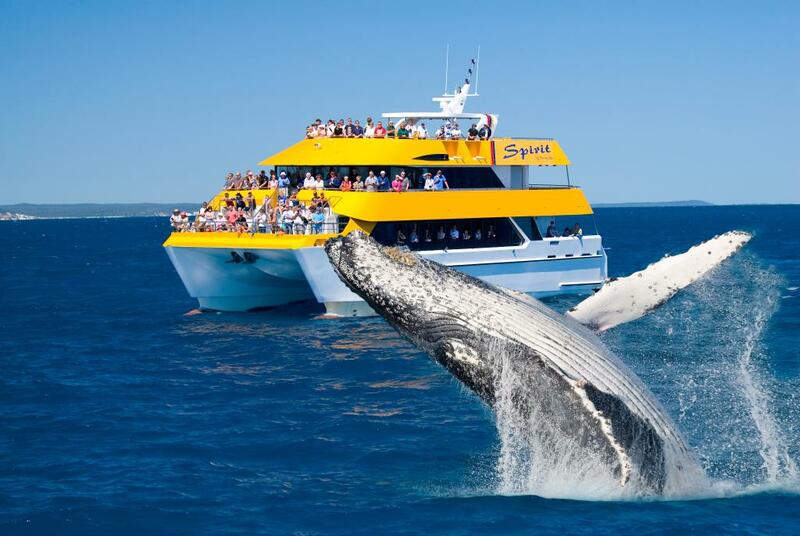 The luxurious fast cat "Spirit of Hervey Bay" takes you cruising to view these friendly giants up close and personal in their aquatic playground. 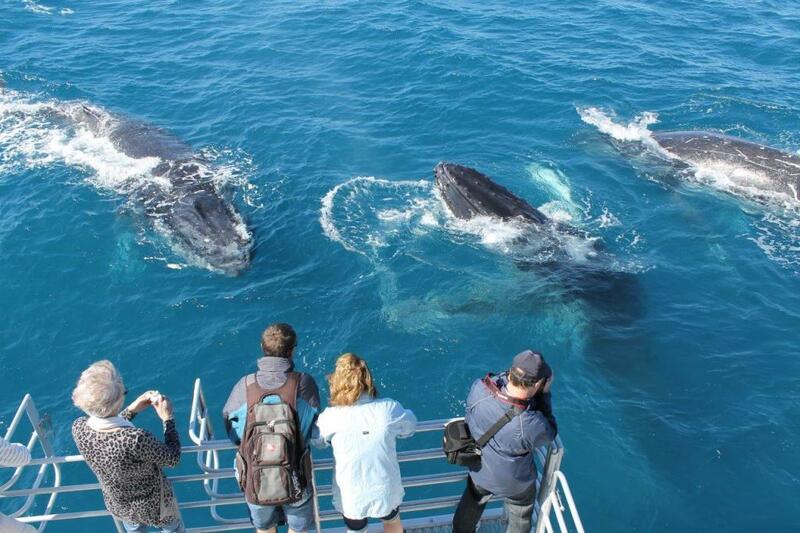 Five levels of viewing decks offer you the freedom of walking around the Spirit and discovering the many vantage points to capture the whales antics from every angle. 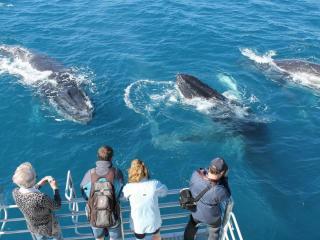 No crowding and so much room to move! A fast, stable and comfortable vessel, the Spirit gives you maximum time with the whales with minimal travel time. 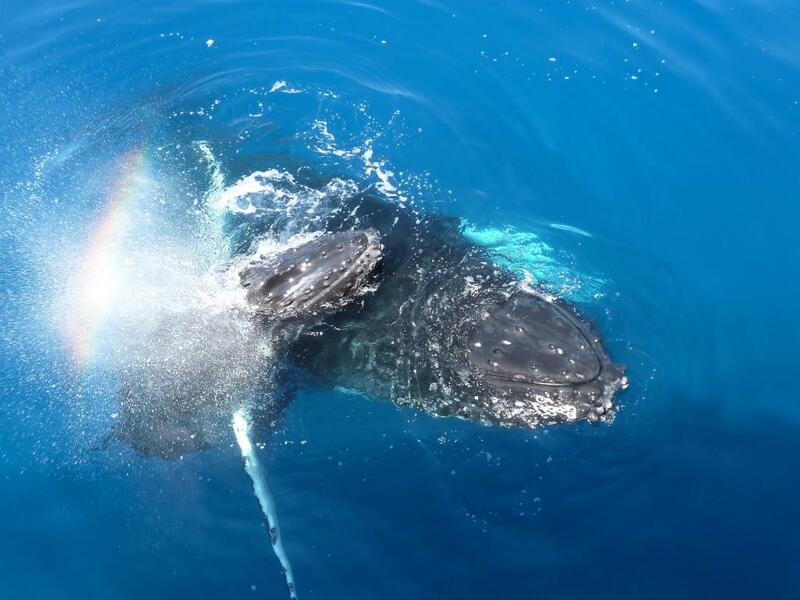 Come face to face with a humpback through underwater viewing windows, venture beneath the waterline aboard the Spirit to enjoy a spiritual experience in the whales underwater world. 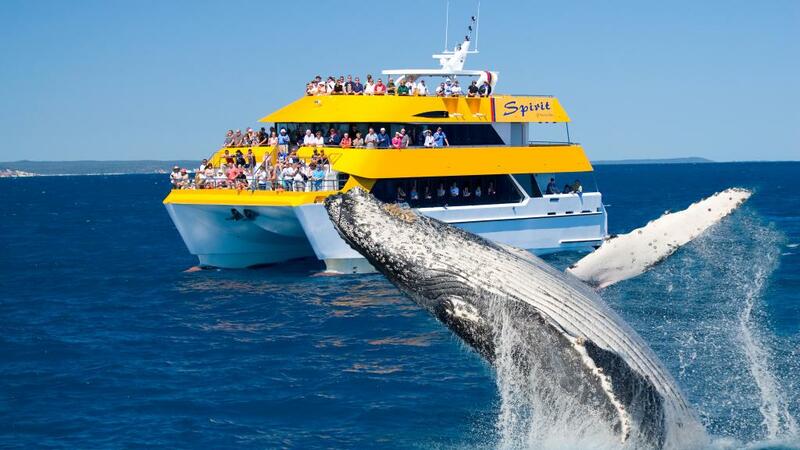 Waterline viewing platform for the extra close up encounters, maybe even get your feet wet! 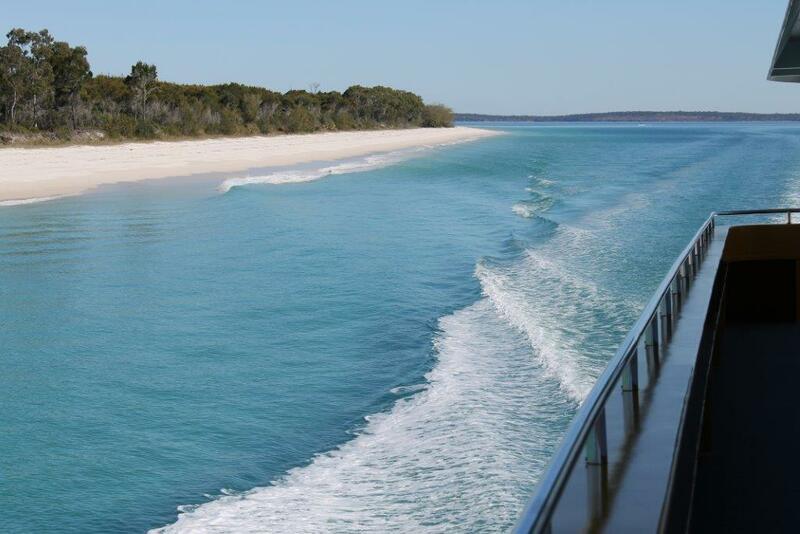 Two 360 degree walk around decks, plus tiered seating up front, open air top deck, 10 metres above the water for spectacular panoramic views of the bay, Fraser Island and the whales. 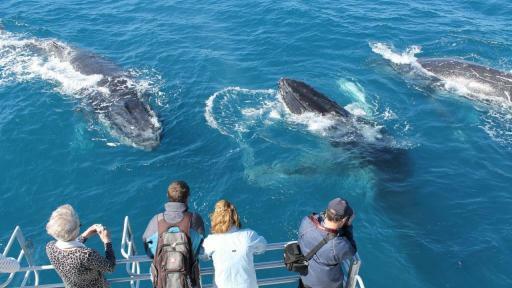 The whales are very curious by nature and often dive back and forth beneath the boat - its almost like they are toying with you. 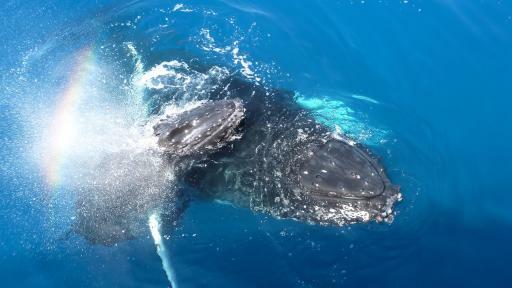 Such an intimate experience with these majestic creatures will take your breath away!